Problems with hearing are common in indigenous communities – Look After Kids Ears is an organisation dedicated to raising awareness about this, in aboriginal and Torres Strait Islander communities. The website has some great information about how too much noise can give kids hearing loss, as well as some nice poster resources to download. Look After Kids Ears is a project funded by the Commonwealth Department of Health and Aging. Deadly Ears is Queensland Health’s response to reducing the rates and impacts of middle ear disease and conductive hearing loss for Aboriginal and Torres Strait Islander children across Queensland. 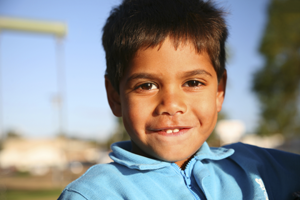 It is focused on helping Aboriginal and Torres Strait Islander children and includes some useful information for both parents and cares and health professionals.